Over the festive period (a while ago now! ), I finally found the time to begin my Game of Thrones journey and binge through seven seasons worth of episodes over a one week period; at the same time, I realised what all the fuss is about! Just as Ned Stark had warned Winter was coming and slowly but surely it has made its way to Winterfell. As we all sit in eager anticipation for the commencement of the final season, the odds seem massively in favour of the Night Kings army now that winter’s finally here. You’re probably wondering: what does this have to do with recruitment? Think of me as your Three-Eyed Raven, who’s seen this unfold time and time again and if you heed my advice before it’s too late, we might just survive the long night or in our case... NQ season. So, as the "Night once again gathers, my watch now begins!" Think of your training seats as different lands in Westeros and your goal, much like that of Cersei Lannister, Daenerys Targaryen and to some extent John Snow, is to decide how to tactically go about conquering this particular land or area of law. Your Three-Eyed Raven or recruiter is here to give you as much market advice and share as many hidden secrets that the land has to offer – to make your journey across Westeros as easy possible. In the wise words of arguably the most popular character on the show, Tyrian Lannister: “You’ll need to be ruthless if you’re going to win the throne!” In our case, this means deciding your first choice in area of law, willing to sacrifice this if needed by having a solid back up option in place. Not only does this apply to your preferred area of law but also your preferred choice of location. Most NQ solicitors dream of sitting on the Iron Throne – the UK equivalent is working in London – but it’s a long road to Kings Landing and sometimes that means we need to make stopovers in other locations before we can get there. So, we’ve identified our areas of law and preferred locations, now we must prepare and ready ourselves for battle. Much like a “small council” meeting, you’ll no doubt receive tons of advice from loads of different recruiters, senior lawyers, friends and family. The importance of working with one recruiter at this stage in your career can’t be stressed enough. This can be likened to the positon of “hand of the king”, a well seasoned and trusted advisor who’s perfectly placed to help you win the war! This advisor, ideally, is a reputable agent who works alongside the vast majority of law firms and acts as a preferred supplier for most. In this capacity, BCL is second to none: last year alone we placed over 1200 lawyers in new jobs – that’s more than 5 lawyers moving every single day! Having drawn up our battle plans, applied for roles and received interview requests, the battle beckons. It’s time for your “trial by combat” and that means being prepared for your interview. Wouldn’t it be great if we all had dragons to ride on into battle! Unfortunately though, unless you’re lucky enough to have Targaryen blood running through your veins, you’ll probably have to develop a steely resolve (valerian steel ideally!) and be prepared to do it in the old fashioned way! Most NQs will have had their last interview over three years ago: before commencing their training contract, so will no doubt be nervous. Though it may seem daunting, you’ll need to adopt the mindset of Tyrian when he entered the vault to release the dragons so they could grow and develop: “I’m here to help… don’t eat the help!” For guidance on how to make a great impression at the interview stage and for the best opportunity to succeed, check out my blog: NQ Solicitor Interviews. It might be the case that you don’t land your preferred option or preferred location but it’s important to remember that this is a journey and you shouldn’t let it knock your confidence. This is the time where a well thought out plan will help to ensure you have a solid option/title to fall back on – even if it’s temporary. Whether that be “King of the North” or the “Mother of Dragons”, there’s no reason why the Iron Throne can’t be conquered after we’ve survived the Night King and the risk of missing out on a role altogether! In the wise words of Tyrian, who in my opinion has the best one-liners in the entire show, “Death is boring, especially now with so much excitement in the world”. Yes, you might find your NQ job-search tough and stressful, but you’ll make it. Your Three-Eyed Raven, BCL Legal, has successfully guided NQ solicitors for the last 16 years. 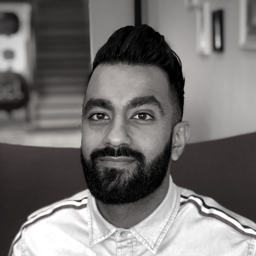 If you’re a March or September 2019 qualifier, please feel free to contact Luqmaan Ayaz at BCL Legal for a confidential chat.